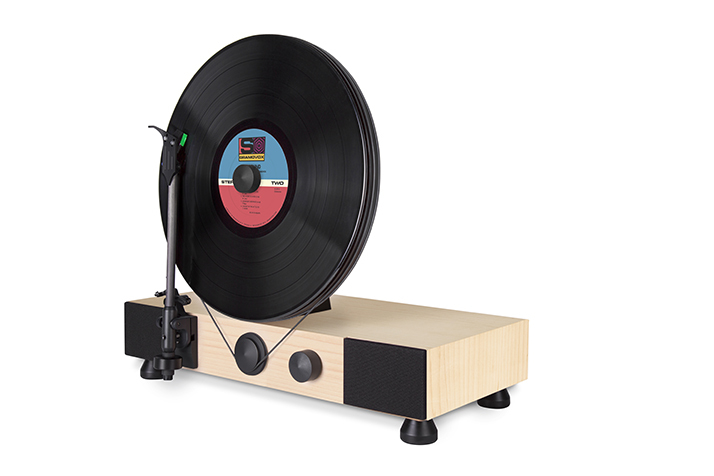 The Floating Record is a high-performance turntable that plays your records vertically. 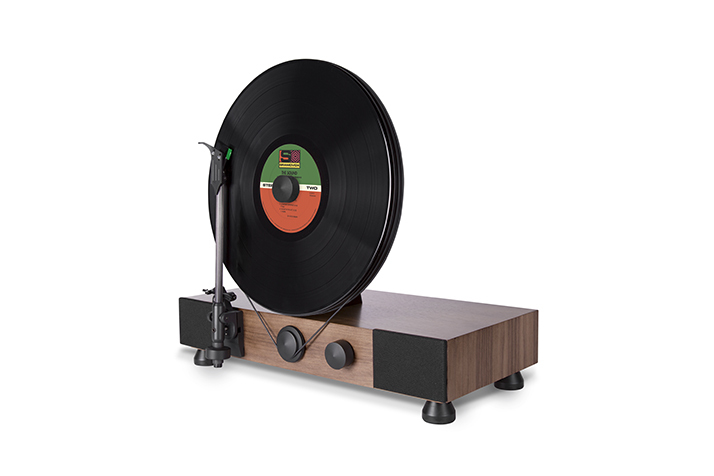 "A high-performance turntable that plays your records vertically through built-in, dynamic, full-range stereo speakers. 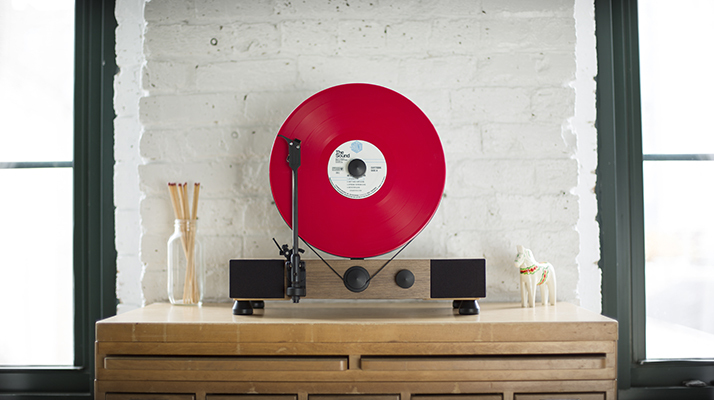 Get ready to spin vinyl right out of the box. 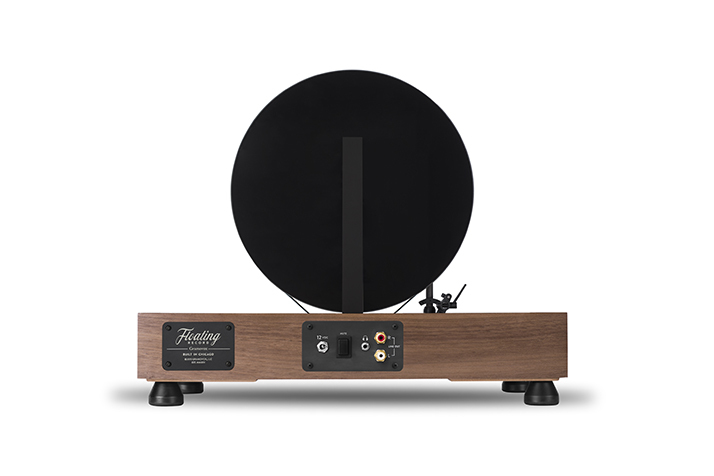 We designed the Floating Record for everyone from the first-time record listener to the seasoned vinyl enthusiast. 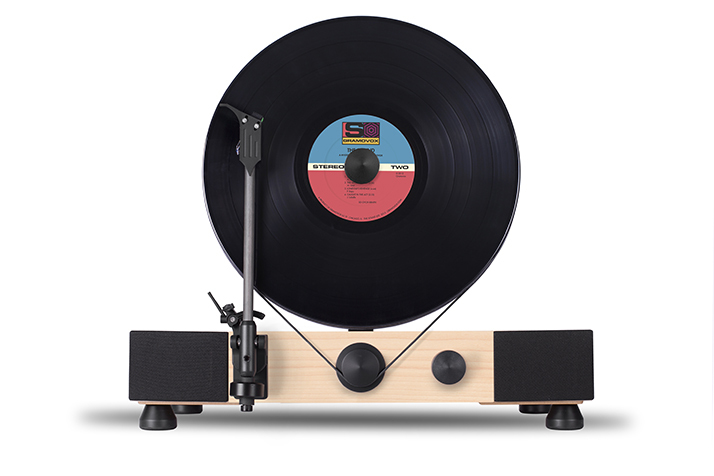 We've developed a robust cueing mechanism that allows you to effortlessly cue your records. 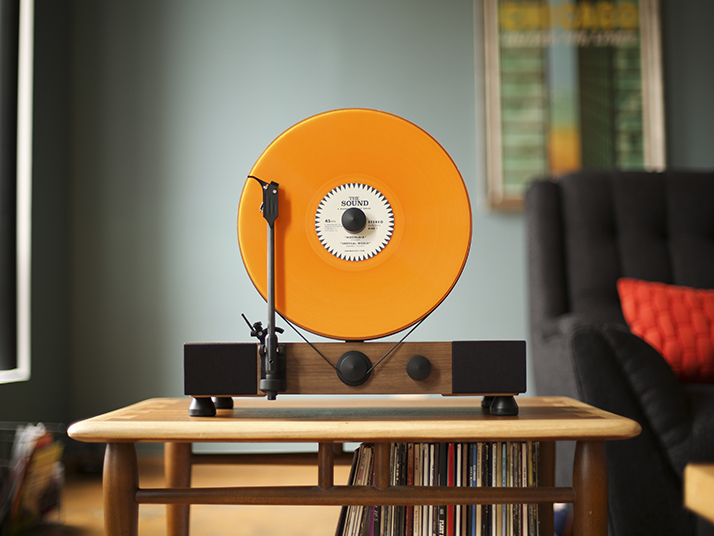 You’ll be spinning tunes out of the box in a matter of minutes." 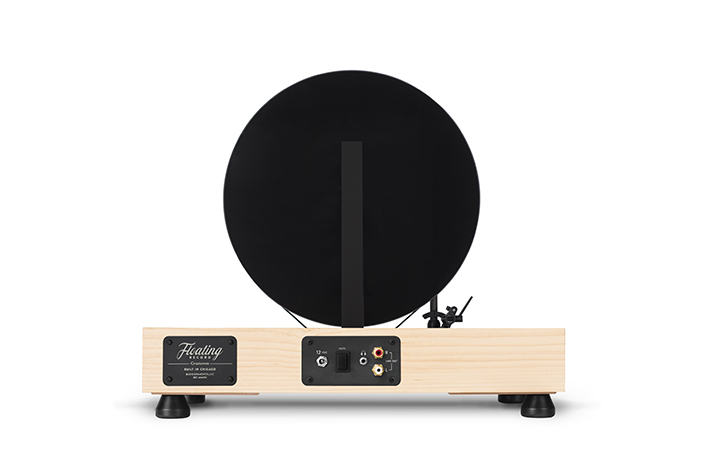 "The Floating Record comes with a dynamic, full-range audio system. We use two Tymphany 2" neodymium speakers driven by a 15w per channel digital amplifier. 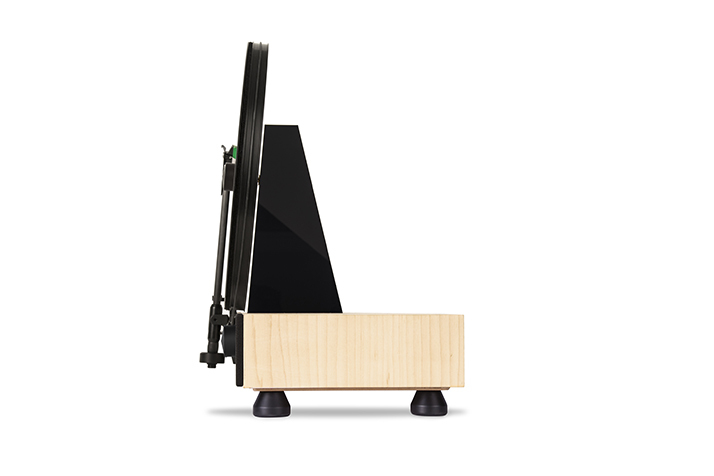 We achieved the best possible sound without compromising aesthetics or performance. 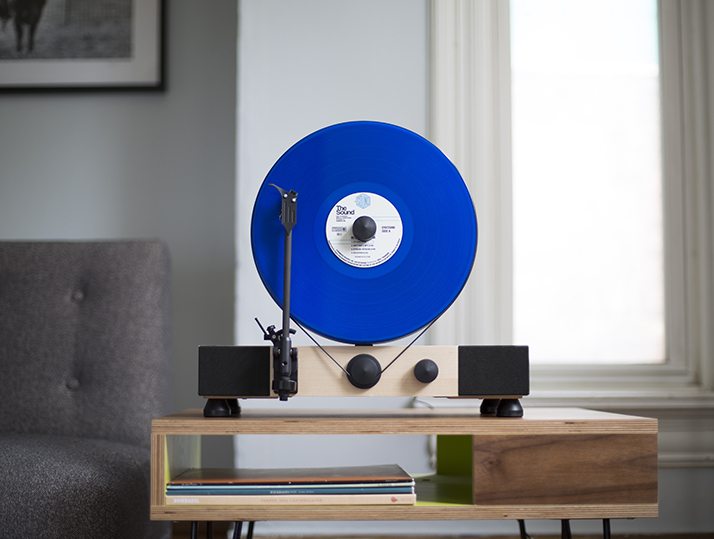 We wanted to create a visceral vinyl experience that showcased the record as both art and a medium to produce analog sound. 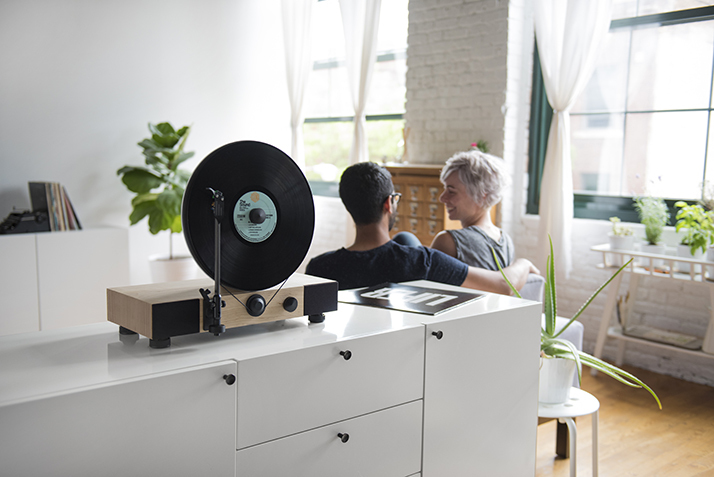 The result is a high-performance turntable that plays your records vertically—producing the illusion that it’s floating."